How to get to and around Gigantes from Carles, Estancia, Iloilo, Roxas, & Boracay. Read travel tips on schedules, passenger ferries, flights & fare prices. By Marcos Detourist. Updated on February 11, 2017. Due to its remote location, the Gigantes Group of Islands in Iloilo is harder to get to than most mainstream tourist destinations in the Philippines. Still, thousands of travelers still flock to Gigantes every year to experience its exotic seascapes. The towns of Carles and Estancia are the main jump-off points, which can be reached by land from all major transport hubs in Panay Island including Iloilo, Roxas City, and Boracay. The Gigantes Islands are situated approximately 19 kilometers off the coast of mainland Carles on the northeastern tip of Iloilo in Panay Island, Philippines. Aboard land and ferry connections, travel time to Gigantes (via Carles) takes around 5-6 hours from Iloilo City, 3-4 hours from Roxas City, and 6-7 hours from Boracay/Caticlan. The nearest airport to Gigantes is Roxas Airport but the Iloilo International Airport, Kalibo International Airport, and Caticlan-Boracay Airport are also popular transport gateways. Further readings: Gigantes Travel Guide, Iloilo Travel Guide. Bancal Port in the town of Carles is the most convenient jump off point and fastest way to get to Gigantes Islands. It takes around 1.5 hours by pumpboat (local outrigger) ferry from Bancal Port to Gigantes Norte. With daily commuter ferry trips and a Municipal Tourism Office to assist visitors, transiting through Bancal Port is highly recommended instead of the more popular route via Estancia Port. Alternatively, tourists can also charter a boat to get to and around Gigantes from either seaport. Bancal Port in Carles is the preferred jump off point to Gigantes after the municipal government had set up a tourism office to assist travelers visiting the islands. Travel time from Bancal Port to Gigantes Norte takes around 1.5 hours. Carles is approximately 1.5 hours from Roxas City, 3-4 hours from Iloilo City, and 3 hours from Kalibo. There is a regularly scheduled local passenger ferry that runs once daily from Bancal Port to Gigantes Norte Island. The commuter pumpboat departs from Bancal Port at 10AM and arrives in Langob Beach, Gigantes Norte at 11:30AM. The same boat departs from Langob Beach the next day at 2PM and arrives at Bancal Port at 3:30PM. 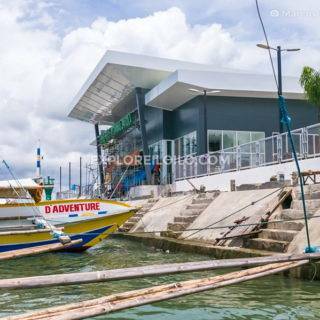 Estancia Port is the main sea transportation hub and fishing port in Northern Iloilo. Traveling by pumpboat from Estancia Port to Gigantes takes approximately two hours. Estancia is approximately 3 hours from Iloilo City and 2 hours from Roxas City. Travel time from Estancia Bus Terminal to Estancia Port takes around 5 minutes. Tricycle fare from the terminal to the port should cost P10 per passenger. To travel between islands in Gigantes, you need to charter a boat since there are no options for commuting. The bigger islands, Gigantes Norte and Gigantes Sur, have narrow inland roads connecting different villages on the island. The fare for motorcycle taxis, locally known as “single,” costs P10 per person. Roundtrip transfers to the lighthouse in Gigantes Norte costs P60 per person including waiting time. Most tourists travel to Gigantes via Iloilo since the Iloilo International Airport serves more frequent flights and destinations. Buses and vans from Iloilo City to Carles and Estancia are stationed at Tagbak Terminal in Jaro District. Travel time by bus takes 3-4 hours and the fare costs around P170-P180 per passenger. The bus route is operated by Ceres Liner. Commuter shuttle vans does the trip in only 2 and a half hours and the fare costs P150 per passenger. From the Iloilo Airport, a taxi ride takes around 20-30 minutes to Tagbak Terminal. Direct daily flights from Manila, Cebu, Davao, Cagayan de Oro, Puerto Princesa-Palawan, Hong Kong, and Singapore are operated by Philippine Airlines and Cebu Pacific. Further readings: Getting to & around Iloilo, Iloilo bus & land transport, Iloilo ferries & seaports. If coming from Manila, Roxas Airport in Roxas City, Capiz may be more convenient since it is nearest to Gigantes, which cut down travel time to around 2-3 hours. Ceres buses and shuttle vans ply the Roxas to Estancia route. Roxas Airport only serves direct daily flights from Manila. They are operated by Philippine Airlines and Cebu Pacific. There are no direct passenger bus or van routes from Kalibo Caticlan, or Boracay in Aklan to Estancia or Gigantes. You would need to transit through Roxas City. From Kalibo, there are commuter vans that go directly to Roxas. The land travel takes one hour. From Boracay or Caticlan, you can take a bus or van to Kalibo first. Travel time takes 1 hour. Kalibo Airport serves regularly scheduled direct domestic flights from Manila and Cebu, and international flights from Hong Kong, Singapore, Beijing-Capital, Busan, Seoul-Incheon, Shanghai-Pudong, and Taipei. Flights are operated by AirAsia, Philippine Airlines, Cebu Pacific. There are no direct commuter routes between Bacolod and Estancia or Gigantes. From Bacolod, you can ride a fastcraft ferry to Iloilo City and then travel by land to Estancia. You may also take the RORO (slow ferry) to Dumangas Port, and then travel to Barotac Nuevo, where you can catch a bus to Estancia. From Manila, the fastest way to get to Gigantes is arriving at Roxas Airport. 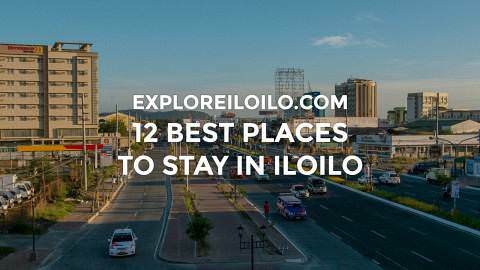 It is also worth to consider transiting through Iloilo Airport, Kalibo Airport, or Boracay-Caticlan Airport since they serve more frequent direct flights to these destinations. Travel time to all mentioned airports takes around 1 hours from Manila-NAIA Airport. Traveling by ferry and RORO to Panay Island is also possible via Caticlan Port. From Cebu, the fastest option is to take a direct flight to Iloilo Airport. Cebu Airport also serves direct flights to Kalibo and Caticlan if ever they are more suited for your itinerary. Discover more blogs and travel tips in Gigantes. Our ETA at Iloilo International Airpot is 12 to 12:30AM so we’re planning to head directly to Carles/Estancia once we landed. So is it safe to travel at night or would you recommend for us to wait until the sun is up? Thanks! Hi! We have a flight to iloilo this august at 3 pm. Which would be more convenient (given the toa), to go to boracay first or to gigantes? Please help. Thank you! good day. im planning to cross from bacolod to dumangas via RORO. are there also buses/vans going directly to carles from barotac nuevo? as i read, there are buses/vans going to estancia only. i need to be in bancal port as it is my preferred jump off point. your response will be highly appreciated. thanks. What about getting from Roxas to Carles. Then from Carles back to Roxas. there is also ocean jet daily from tabuelan cebu to estancia..
We’re coming from cebu…from tabuelan to estancia…from estancia how do we get there to gigantes..any recommendations? Will be in Iloilo this August 3-5, 2016 and will arrive in the airport around 12pm. We’re only 2. Who wants to join? hello poh :-) anong oras poh departure ng last trip from tagbak terminal to estancia?? thank you. Hi! Do you know the number of Carles Tourism Office? Thank you. HI. Thank you for the detailed information. I was wondering which one would be the cheaper and faster route form Bacolod to Gigantes. You mentioned that Dumangas to Barotac Nuevo is the best route, but is the bus/van fare from Barotac-Estancia similar to the Tagbac-Estancia fare which is 150-180? And do the buses have the same schedule going to Estancia? I believe we have to arrive in Estancia before 2 pm for the ferry and I want to know which route is faster and more affordable.. Thank you Marcos for the awesome guide. Anyway, does the transportation in Iloilo City Airport to Carles or Estancia is 24 hours? Because we have a flight from Manila to Iloilo City and the expected arrival time is around 11:35 pm. Btw the date is on July 20, and our return flight would be on July 23 departure time is around 12am. And we’re planning to go to Gigantes Island. Can i ask what are the things we should do to maximize our trip and to fully enjoyed the short vacation. P.S. sorry for choosing the not so good time in both flight, i just took it because of the promo fare. Anong oras last trip from tagbak to caticlan? Ill be coming from cdo and arrive in Iloilo 5:50pm. Gusto ko na dumiritso sa tagbak terminal and travel to caticlan diritso. Great article! But we do wonder about shuttle vans headed to Bancal Port. We are going there soon and would like to ask where we can ride a shuttle going to Bancal Port. Hope you can help us! Hi Marcos! Thanks for this very helpful article of you and I appreciate it very much when you emphasized the travel from Bancal port of Carles to Gigantes since it is closer (when I viewed it from the map) than most commonly published via Estancia port. Anyway, me and some few close friends are planning to explore Gigantes within 24 hours. :). Do yo have any idea how much would we spend if we opt to charter a boat from Carles to Gigantes v/v and an island hopping? And last thing, do you know a place in Carles where I can leave my car safely while we are in the island? Thank you very much and best regards. You’re welcome Arnel. Bancal Port should be the jump-off-point of all tourists. Not only is it closer, but they also have a good tourist center that could assist visitors. It should cost you around P5,000 per boat, for RT transfers, including a whole day rental for island hopping. Re: safe parking area: the tourist assistance center at the port should be able to help you. Thank you very much for your very helpful website, just wanted to ask, we are planning a trip in January, Gigantes, Iloilo, Guimaras, would you recommend to go to Gigantes first? We are coming from Manila, you mentioned here that its best to take Roxas City to Gigantes, the flight from Manila to Roxas arrives at 11:10am, will we have enough time to travel to Estancia port to make it to the 2pm boat schedule? You might also want to prefer visiting Gigantes first, which is the more “active” part of your itinerary, then take your trip on a more leisurely pace in Iloilo City-Guimaras. This may include staying overnight at either Roxas City and Carles Town Proper… or you could just charter a boat to get to Gigantes once you reach Carles Port on your arrival date.